The new season of Top Chef started last week, introducing the world to eight new chefs and eight returning contestants who will all be competing for the title of Top Chef, some large amount of money, and something related to Food & Wine magazine. 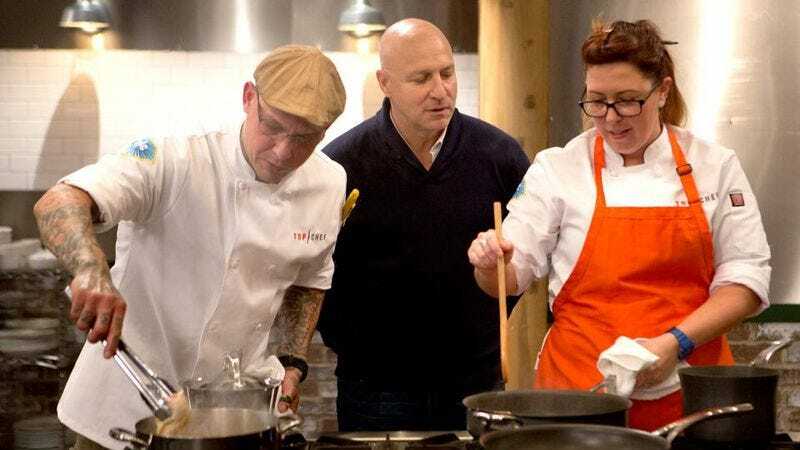 Unfortunately, the fun of watching panicked chefs try to cook chicken and head judge Tom Colicchio offer unnecessarily mean criticisms was undercut by a weirdly insensitive venue choice for one of the show’s challenges. To determine which chef would have to pack their knives and go home, the show paid a visit to Charleston’s Boone Hall Plantation, a landmark that used to be an actual cotton plantation, which some viewers saw as a wildly inappropriate setting for an otherwise fun cooking show—especially considering that the competition was between a white man and a black man. In those tweets, he mentions that the show will “deal with race” in several episodes, so it seems like this could end up being a recurring theme for the show this season.